Welcome to Sea Spa. Slide into a plush robe and relaxation sandals and prepare for a calming spa experience. You’ve come to a place where the rich, abundant sea is a constant inspiration—and the source of many of our signature treatments, therapies, and products. Our lineup of luxurious treatments include island-inspired body wraps, tropical sea stone massages, energizing facials and even a relaxing Vichy Rain Shower. Whatever you choose, we’re sure you’ll walk away from our San Diego spa resort feeling replenished, refreshed and inspired. **Use of the fitness center is included in the daily resort charge. Call 619-628-8770 or email: seaspa@loewshotels.com to book a yoga class or set up a session with a personal trainer at our Fitness Center. 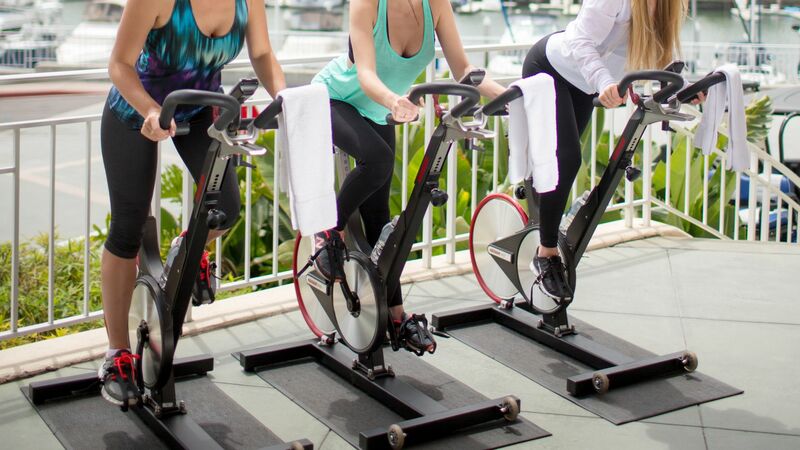 Join us for a special spinning experience, overlooking our 81 slip marina on Coronado Bay. Our 50-minute classes feature Coronado Island’s finest instructors, through Beats by Dre headphones, and the latest in spin cycling technology. Click here for more details or call the Fitness Center at 619-628-8770 (Download Acrobat Reader Here) to sign up. 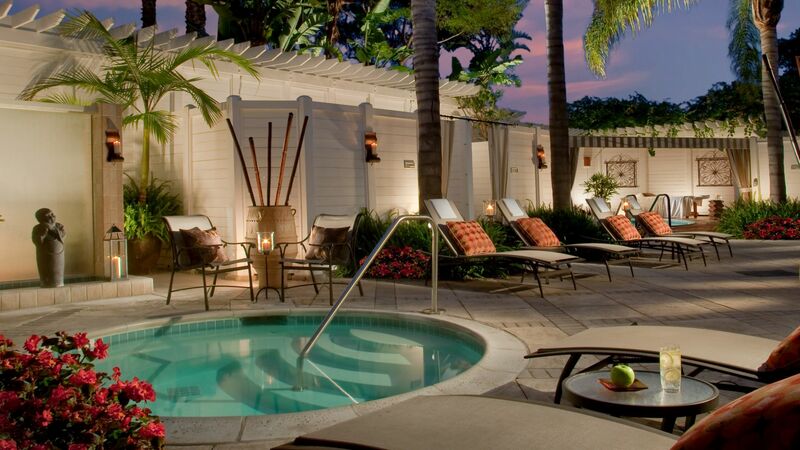 There’s nothing like a San Diego Spa Getaway to keep a group happy. Planning a meeting or event at Loews Coronado Bay Resort? Our Sea Spa Group Coordinator will be happy to ensure your spa appointments are scheduled and that you and your group are indulged completely. So go ahead, enjoy a day at the spa—you’ve earned it. Sea Spa is the ideal place to celebrate special occasions with family and friends. Groups of six or more receive a complimentary bottle of champagne to enjoy on our private spa patio. Whether your celebration is a birthday, bachelorette party, bridal shower, graduation or a friends’ getaway, a trip to Sea Spa will make the occasion unforgettable. Meeting attendees can indulge in a range of treatments and services including massages, facials, body therapies, salon services, fitness programs and so much more. Exclusive offers are available for groups hosting their meeting at Loews Coronado Bay Resort. For more information including group pricing and availability, please contact our Group Coordinator at 619-628-8770. Treat a friend, colleague, or loved one to an unforgettable spa experience. We offer gift certificates in any denomination. Our San Diego spa offers a variety of signature treatments sure to please everyone. Please inquire with the Sea Spa reception desk. Become a member of The Resort Club at Loews Coronado Bay Resort, and make health and wellness a part of your everyday life. With access to the property’s world-class facilities, Resort Club members enjoy a resort experience throughout the year. That includes our adult-only pool, steam room and dry sauna, state-of-the-art fitness center, fitness classes, personal wellness assessment and discounts on spa treatments and salon services. Imagine having a health and fitness membership, a country club for meals and a beach and pool membership all rolled into one? Well, it’s yours to enjoy here at Loews Coronado Bay. Complimentary 50-minute birthday massage (limited to 2 per family membership). Two complimentary room nights per year, based on availability. Schedule an appointment to tour our resort and learn more about our exclusive membership. To maintain a relaxing atmosphere, use of mobile communication devices are prohibited while in the Spa. A written cancellation notice must be given to the Spa Director 30 days prior to termination.